Sony will break the ancient seal on Uncharted: The Nathan Drake Collection in November, letting the PS4 remasters of the PS3 trilogy run free across PlayStation Network independent of their siblings. If you're like me and kind of want to try the original Uncharted again, but have played Uncharted 2 so many times you could do that statue puzzle with your eyes closed, it should be a handy bargain (depending on the prices). This arrangement has only been confirmed for European territories at the moment, where the three games will go up for sale individually on November 16. But announcements for other regions are likely to come soon. 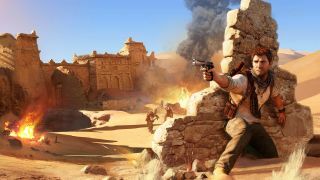 And don't get your hopes up about reliving the days of Uncharted 2 or 3 multiplayer on PS4; the bundled-up Nathan Drake Collection eschewed them, so it's very doubtful that they'll be added back in.